Really Awesome Coffee franchise network has seen huge growth and in the last year alone we have doubled our number of partners. We attribute this success to our proven franchise system and our extensive training and launch program but we can not ignore the massive growth seen in the UK within the coffee retail market. The coffee market is currently one of the most lucrative industries to be part of. Project Café2017 UK, the definitive report from Allegra World Coffee Portal, saw coffee market sales rocket in the UK making it one of the UK’s strongest performing sectors with no signs of ending. The £9.6bn UK coffee shop market grew by 7.3% in turnover during 2017. 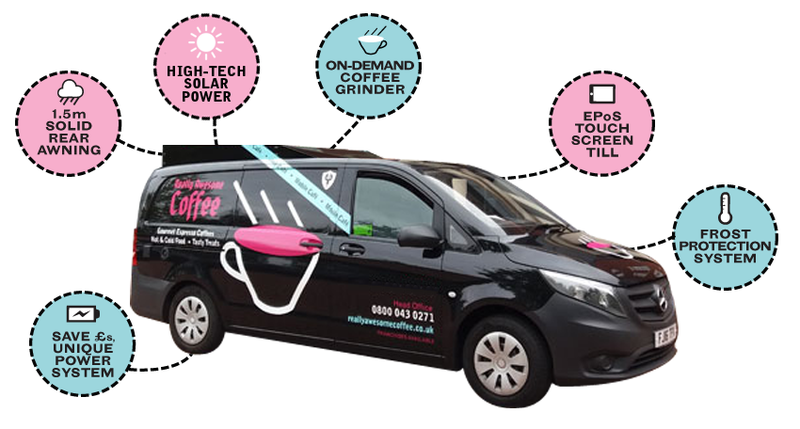 Whilst the coffee shop revolution is clearly visible, the mobile café market remains accessible and fresh, it offers our franchise partners a fantastic opportunity to follow this demand by taking the traditional high street coffee shop direct to the customers, wherever they are! 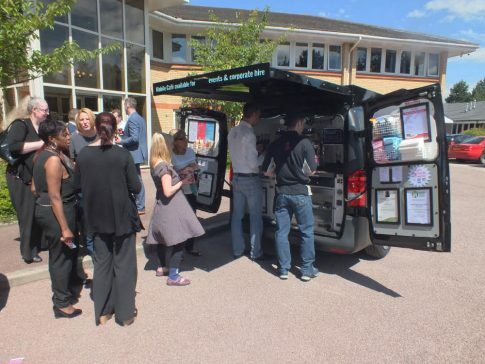 The Really Awesome Coffee tried and tested business model is proving to be one of the top coffee franchises in the UK. 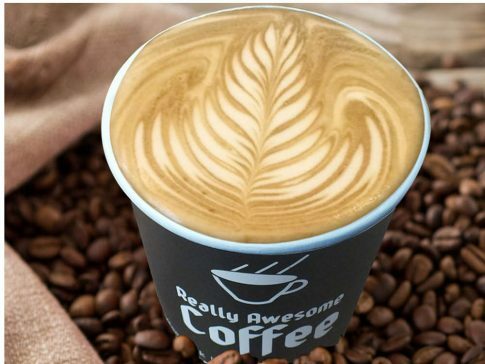 “Through our years of experience in the mobile coffee business, we provide entrepreneurs with the information, skills and support necessary to build a profitable mobile coffee franchise in the rapidly expanding UK coffee sector” Kevin Haswell, owner of Really Awesome Coffee. 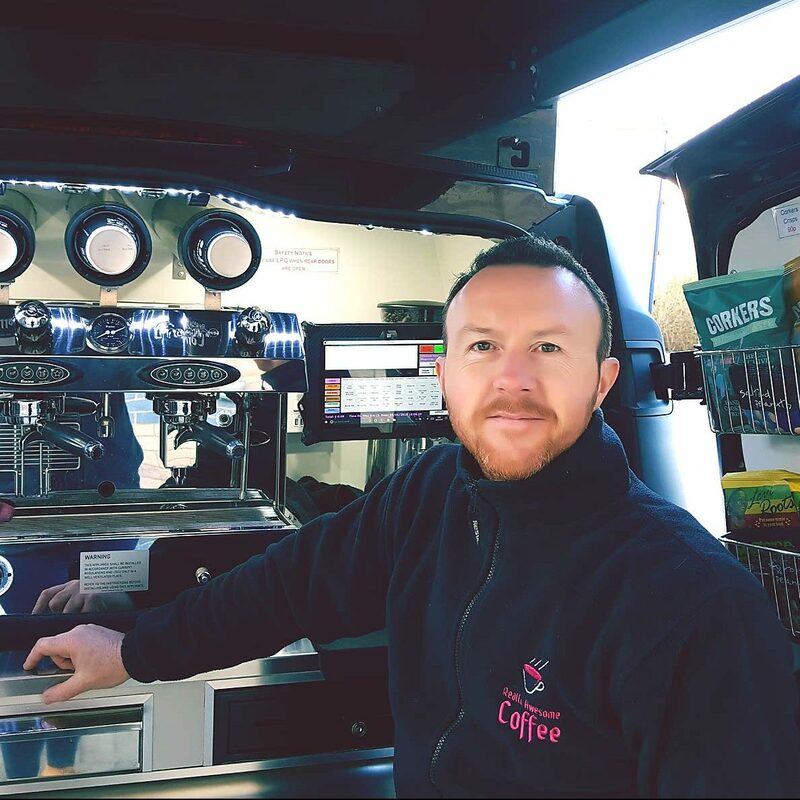 We have mobile café franchise partners operating their franchised coffee vans across the UK, each with very different aspirations and how hard they want to work. From working a few hours to a full working day, each franchisee chooses their own specific goals they want to achieve. 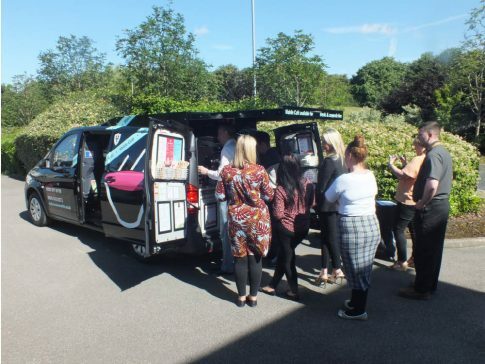 Most of our franchisees enjoy the lifestyle of working the vans themselves whilst others have chosen a management franchise model and run multiple vans. Each of our franchise territories therefore has local business statistics proving that they can easily support more than one van. There are many reasons people decide to to set up their own business, having control of your own working life and directly reaping the rewards of your own efforts are often near the top of this list. Escaping the stresses and confines of the typical 9-5 routine and taking more enjoyment from the working day are reasons also mentioned by most of our franchise partners. Owning a Really Awesome Coffee franchise gives you the opportunity to enjoy a healthy work-life balance working Monday to Friday delivering fresh coffees & hot drinks, hot & chilled food items, confectionery, chilled drinks and snacks to local businesses in a sociable, stress-free environment with the option of boosting profits from weekend events and corporate or private bookings. We understand that buying a franchise is an investment in yourself and your family’s future. By joining a franchise you are eliminating much of the risk as we have a proven model that works and the figures as evidence. Raising the capital can be a challenge on your own which is why we are on hand to assist you in all aspects of the financial process. We have built strong relationships with a number of finance companies who are familiar with our franchise system and are extremely keen to help new franchise partners fund their Really Awesome Coffee businesses (subject to the usual checks) which they see as a safe investment. 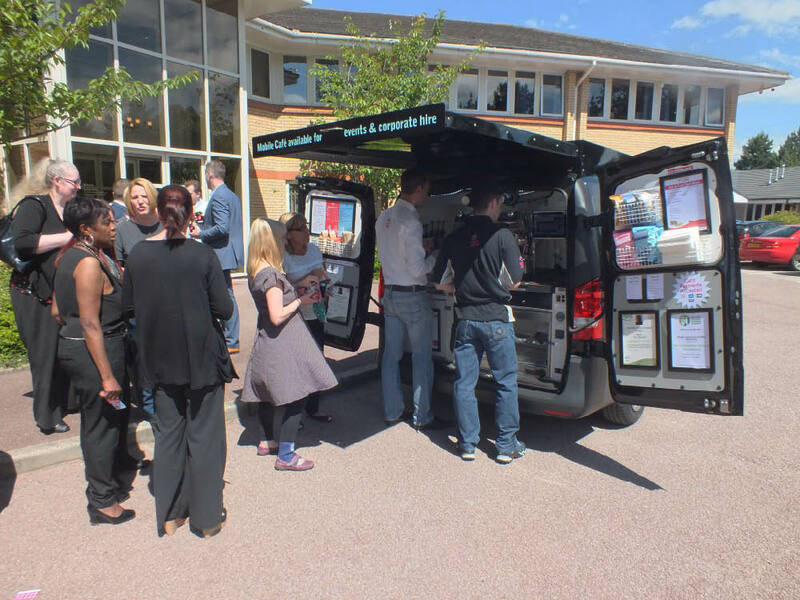 You can be on the road and running your mobile café business from as little as £9,500. This is the lowest initial investment level you need to contribute and includes the deposit on your Mercedes coffee van as well as our comprehensive Fast-Track Training & Launch Program, the Premium Start-up Pack valued at over £5,000 and some initial working capital. If you have more capital to invest this will of course reduce your monthly finance payments over the initial franchise term. 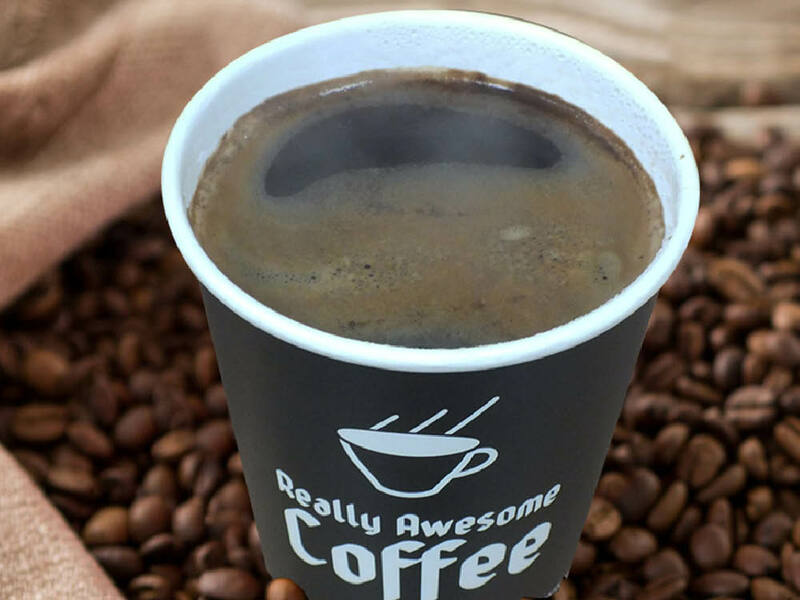 Our competitive franchise package is £19,950+VAT meaning you are now part of the Really Awesome Coffee family, fully supported by a team of professionals in business management, sales and marketing. You will instantly profit from our brand awareness and intellectual property and be confident that your business has the best possible chance of success and will be a business you could either sell or pass to your children in the future. Our ongoing Management Services Fees are refreshingly low when compared to other coffee-related mobile franchises at a fixed cost of just £69 per week which is typically covered by the first few coffee sales of the day. 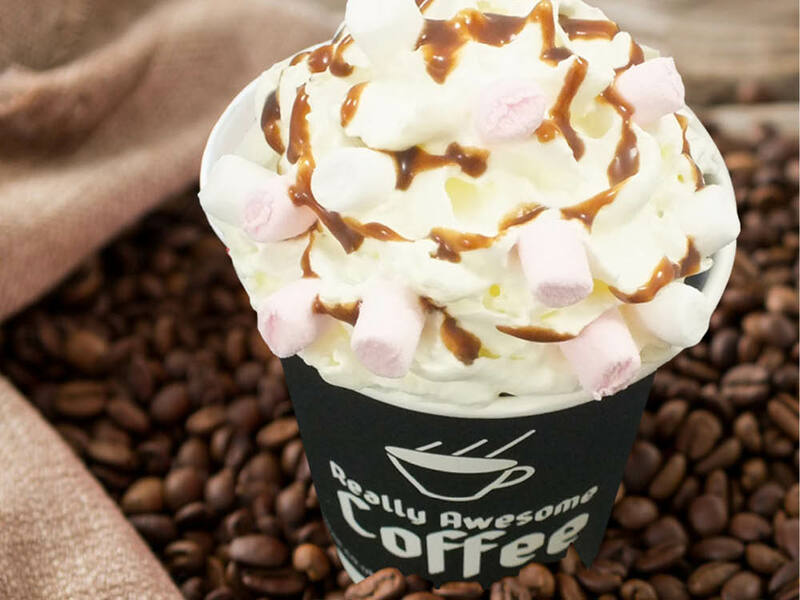 As a network partner you will benefit from huge franchisee discounts on our exceptional #1 Brand coffee and because of Really Awesome Coffees ‘buying power’ you will enjoy reduced prices from our suppliers on consumables items also with our unique coffee van you should save over £2,500 per year in fuel. All these factors added together leads to annual profits that are thousands of pounds higher than with other mobile coffee networks. Our franchisee training and business launch program is based on years of success within the mobile coffee industry and has been designed not only to make sure you have the tools and knowledge to run a successful mobile café business, but also to get you off to the fastest possible start and making money as quickly as possible. The training portion of the program is spent at our headquarters in Coventry. The first week concentrates on how to research and develop your daily coffee route. Your Franchise Development Manager will help find customers for you and build your round. You will also receive professional barista training at our in-house training centre to make sure you are fully prepared to impress your new customers. This will be followed by some supervised home preparation under the guidance of our Franchise Development Manager which includes; approving local suppliers as well as attending exploration days with one or more of our existing franchise partners. The final training week will be focused on building your practical and business skills. We will cover all aspects of managing and growing your mobile coffee business by providing comprehensive training in marketing & social media, bookkeeping, IT systems & software, HACCP, Health & Safety, Safe Food Handling and more. You will also undertake advanced barista training as we start applying your new skills to real life scenarios. Your customers are the most important asset you have and through years of experience we know not only how to find good customers but also how to keep them. During the business launch section of the program you will accompany and learn from your own Franchise Development Manager as they make the initial contact with your potential customers and build your daily coffee route. At the end of the launch process you will have a working and profitable daily coffee round and a personalised business development plan that lays out the steps for you to take to continue to grow and develop your mobile coffee business. After your franchise launch we will carry out regular scheduled reviews with you to make sure you are getting the best from your new business. By analysing the data from our touch screen EPoS software in conjunction with your online route planning map we are able to identify areas of your business in which you can make positive changes and improvements. We can then advise you on the best ways to implement these changes by strategically setting goals and targets. Your Franchise Development Manager is of course never more than a phonecall or email away and are on hand 7 days a week to answer your questions and provide support and guidance. As part of the franchise network you will benefit from the experience and knowledge of our existing franchise partners who are always willing to share ideas to help your business grow via the interactive franchise partner discussion forum. We have made the day-to-day operation of your business as simple and straightforward as possible, we are aware that your time is spent better serving your customers. Ordering supplies could not be easier through Head Office by email or phone and deliveries are almost always next day! As a franchisee you receive a massive 30% discount on our exceptional #1 Blend coffee and branded products such as uniforms, cups and stationery are kept low cost. Other suppliers for food and syrups for example offer us huge savings due to our buying power, all of this discount is passed on to our franchisees. Everything bought from Head Office go on to your franchisee account which is billed at the end of the month, in arrears. This affords you the peace of mind that you have credit in place when ordering. There is a bookkeeping and annual accounts preparation & filing scheme in place for our franchise partners. It is not obligatory (you may use another accountant), however most of our franchise partners take advantage of the preferential rates and structured scheme offered by our accountants. At Really Awesome Coffee we operate from top spec Mercedes Vitos which we have converted into the highest quality and specification coffee vans available. We are able to access some of the best rates with our Mercedes fleet terms and financing options can also include the cost of the conversion. With years of experience both building and operating mobile café vans our conversions are a refined product designed with the barista & driver in mind. 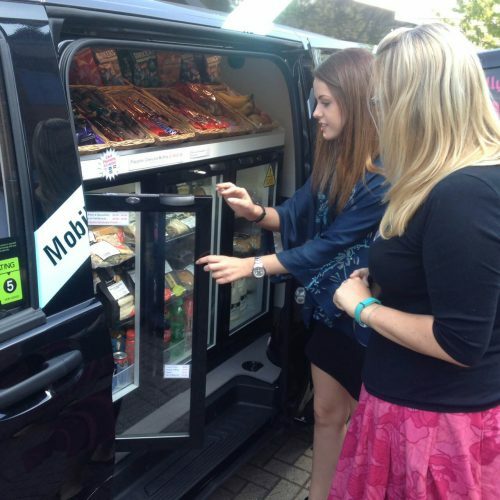 We include a number of distinctive time and money saving features including our unique power system, solid rear awning, frost protection system and touch screen EPoS till. Our bespoke solid rear awning can be extended up to 1.5m from the rear of the coffee van, providing shade during the summer months and in the rain it provides crucial protection for you, the equipment and your customers. The awning is of entirely aluminium construction and as such is extremely light and comfortably copes with strong winds and heavy rain – never miss a days trade due to British weather! Designed for efficiency and speed of use the solid rear awning is simply pulled out and pushed back in to it’s housing, taking literally a couple of seconds to safely extend and shut away. This speed of use was one of our main considerations during the design of the awning – taking only 1 minute to erect / open and close an awning at each coffee stop (30 seconds to erect and 30 seconds to pack away) would lose our franchise partners considerable income by making them over half an hour late for their lunchtime stops every time the weather is bad. Our awnings extend 1.5 metres from the back of the vehicle, so as providing cover for the barista they also keep your customers dry. In the heat of the summer the awning also provides handy shade improving the barista experience. Traditionally mobile coffee installations could be either powered by a large diesel generator of could use propane cylinders to heat the espresso machine boiler, each method having benefits and also significant drawbacks. Our unique power system maintains all the positive aspects of both generator based and LPG cylinder based conversions without suffering any of the negative aspects of either system. Our system of batteries, chargers and inverters stores enough power for a full day of silent trading with a 2-door pie heater and large 3-door display fridge running as well as the espresso machine and grinder. What’s even better is that the batteries charge whilst you are driving between coffee stops (and when the vehicle engine is idling), enabling unlimited trading without the requirement for an external power source. 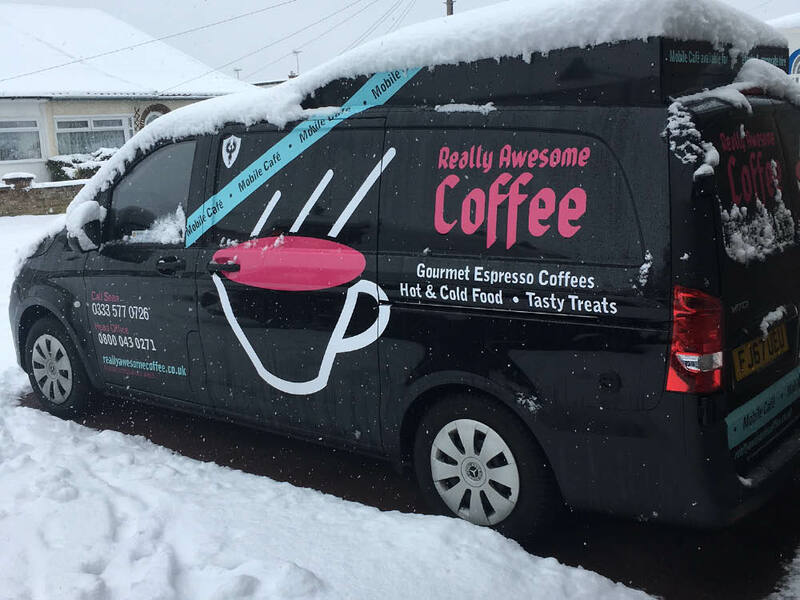 Temperatures in winter regularly dip beneath freezing, and after experiencing damage to an espresso machine in one of our own mobile coffee vans a number of years ago we developed a convenient solution to prevent this happening again. 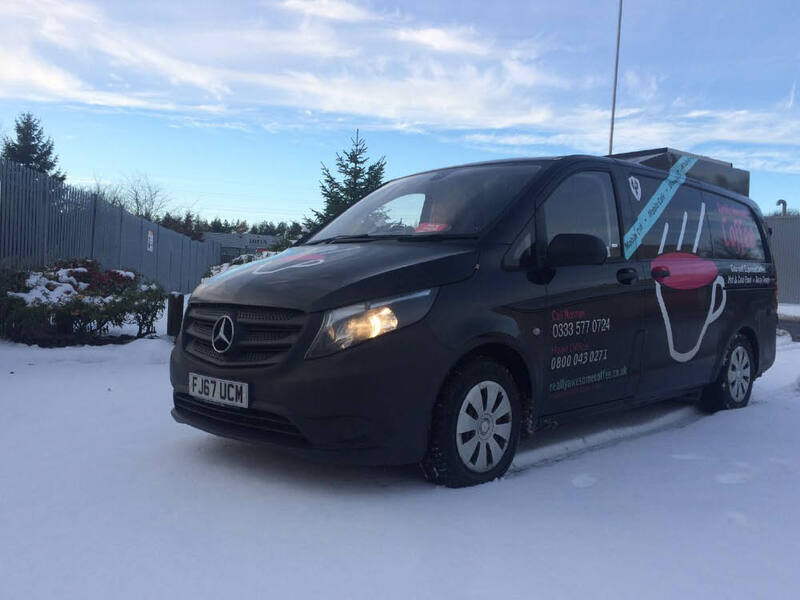 Our van frost protection is a thermostatically controlled system that controls low energy heaters fixed strategically within the vehicle to prevent frost damage to the espresso machine and associated waterworks. 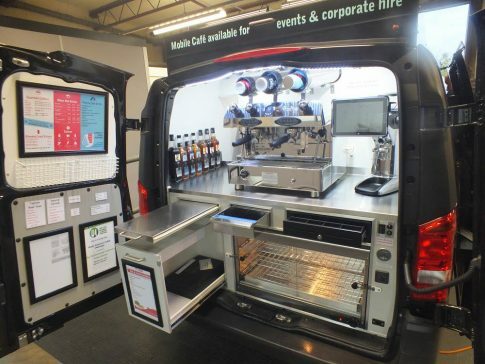 The generally accepted method of protecting espresso machines and plumbing in catering vehicles is to cover the machine with a duvet and clad the pipes as best as possible. Not particularly effective and also not ideal with regard food hygiene. 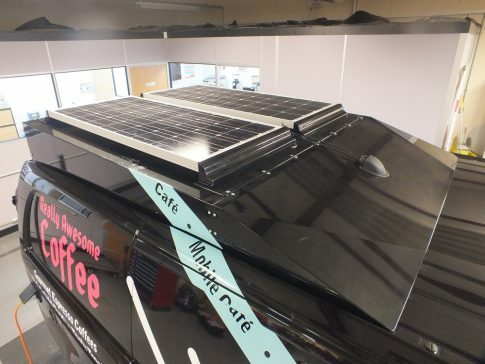 All of our vans feature a solar panel fitted to the top of the rear awning. All vans feature an on-demand grinder ensuring the freshest coffee with a straight from bean-to-cup process. Oxygen is the enemy of roasted (especially ground) coffee. Just as iron rusts and an apple turns brown within minutes of slicing, oxygen reacts with roasted coffee causing it to go stale and lose the intense and complex and flavours present in the freshly roasted product. As such all bags of our roasted whole beans and pre-ground coffee are nitrogen-flushed to reduce oxygen content to typically less than 0.5%, preserving that ‘just roasted’ freshness so that you experience our coffee in exactly the same way we do. Read more about our #1 Blend coffee on our homepage. 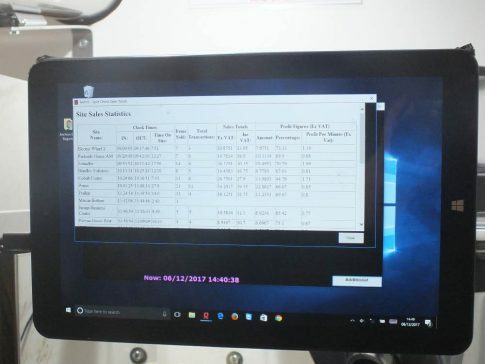 Our fixed touch screen till system allows you to quickly and easily take sales, the speed in which you can operate is key to profits. RAPoS (Really Awesome Point-of-Sale) software records vital pieces of information that will ultimately lead to the success of your business. To increase profitability you need real-time statistics including the time spent at each site, the profit per minute made and the time spent driving between each coffee stop. It is also produces accurate records for your accountants and HMRC. Not all items sold on coffee vans are subject to VAT. We will provide you with the tools and knowledge to run a profitable business and get you off to a great start. We will provide you with structured ongoing support to help you develop your skills and strengthen your business, however we’re not your ‘boss’ and cannot force you to get up in the morning and run your business. If you don’t feel like sitting in an office all day, believe it’s time for a lifestyle change and think you have what it takes to take control and be your own boss then this could be the right business choice for you and we’d love for you to get in touch. Whether you have just started to consider running a business or have already decided mobile coffee is for you, we are happy to have a chat about your plans and explain our business opportunity. Book a spot on our next group discovery day or arrange a one-on-one discovery meeting.You will learn more about the opportunity, see a mobile cafe up close and have the opportunity to ask more questions. The support and training provided to me during the set-up of my franchise was excellent. I love the fact that I can run my own business, be my own boss and most importantly, be a father. I enjoy talking to customers, developing new products, being outside getting fresh air and the natural exercise the franchise brings. I wanted to create decent a work-family balance, so joining Really Awesome Coffee made perfect sense. It’s no secret I’ve been working hard, I am used to working with people but the Really Awesome Coffee team have been instrumental in my success and helped me build my rounds on both vehicles. Their information has been invaluable and the support team are fantastic. The guys at head office are always available to offer help and support to me when needed.